Though not particularly well-known to international tourists, Lucca is considered one of Tuscany's loveliest towns by Italians in the know, and its proximity to Florence, Pisa, the Tyrrhenian coast, and a particularly picturesque surrounding countryside thick with vacation villas and country inns make it perfectly located for a day trip. Set along the Serchio river, Lucca grew from an Etruscan village to an important hub for transportation by water and road during Roman times. Over the subsequent centuries, Lucca was the capital of the Lombard Duchy of Tuscia and the seat of the Carolingian Marquisate of Tuscany before being established as a free municipality in the early 12th century, which meant a growth in both political and economic power and in skirmishes with the rival city of Pisa. 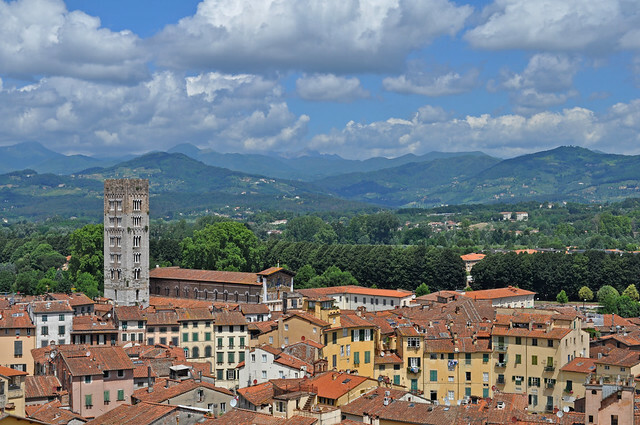 By the 14th century, Lucca was an independent republic and remained so until its inclusion in the Grand Duchy of Tuscany in the 1800s. 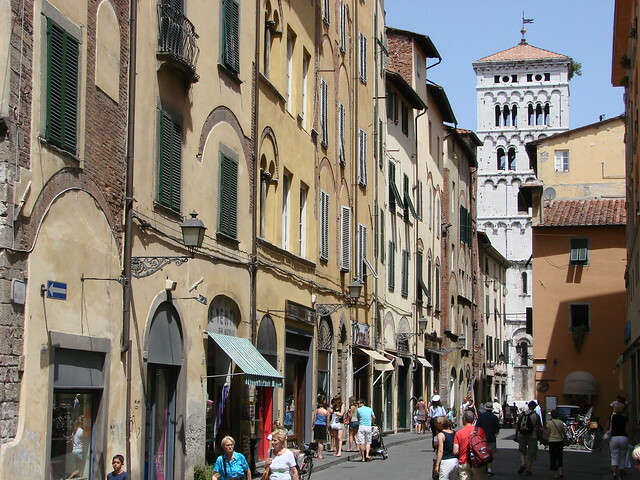 Today, Lucca has settled in to a provincial reserve and pace, with just enough tourists drawn to its excellent Medieval and Renaissance architecture, wonderful cuisine, and numerous local events from antique markets to music festivals to keep it vibrant, but not enough to be overrun like many other Tuscan towns of its size. 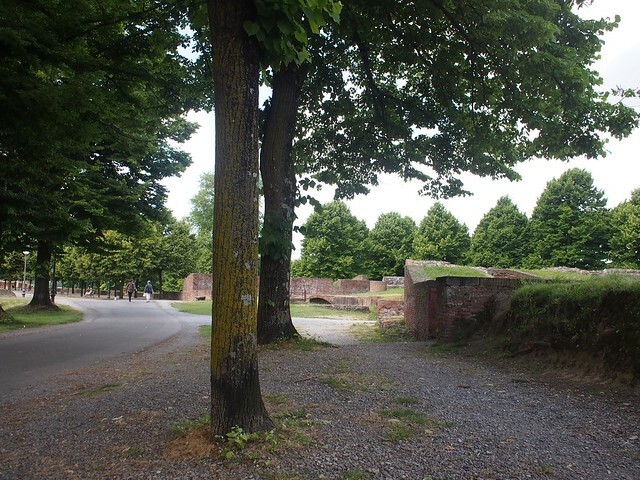 One of the most striking sights in Lucca is its perfectly-preserved 16th century town walls, which now have a greenway along the top with a walking and biking path, shade trees, and park benches and play areas with views over the city. Most other Tuscan cities gradually destroyed or dismantled their walled perimeter as the town centers expanded and the walls were no longer needed for defensive purposes, making Lucca's town walls unique. You can grab a gelato and meander through a section of the greenway park, or rent a bike and explore the entire perimeter, which is slightly more than 4 kilometers long. It will feel as if most of the town is out for their constitutional along with you, and that is more or less accurate...locals are rightly proud of their “mura” and the greenway has become the de facto city promenade. 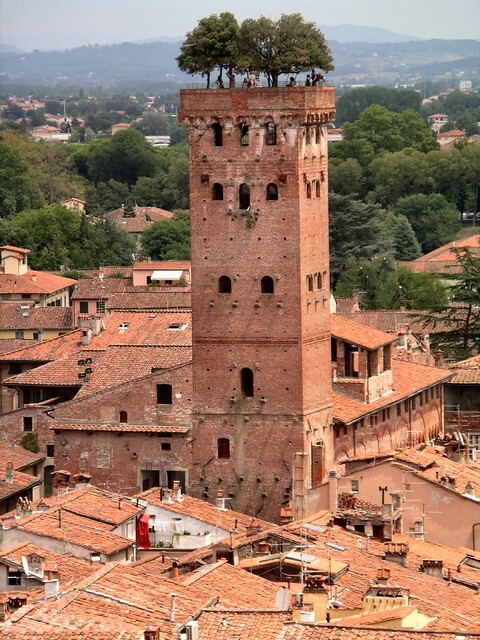 If you'd like an even higher vantage point over the city, you can climb the Guinigi Tower, now charmingly topped by seven mature holm oak trees. 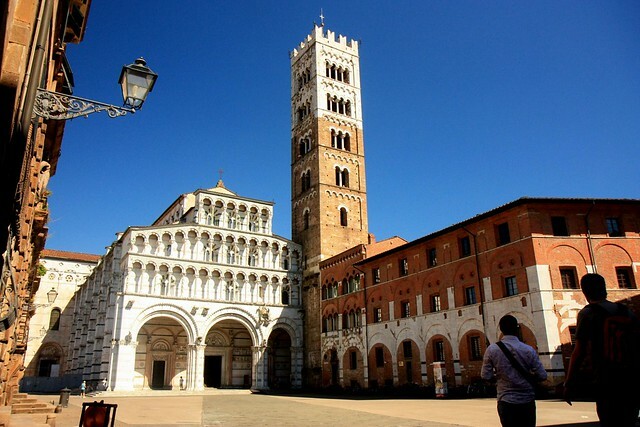 The tower and adjacent palazzo once belonged to the powerful local Guinigi family that ruled Lucca for generations, and are located in what has remained one of the most photogenic Medieval neighborhoods in the historic center. Like all Italian cities worth their salt, Lucca has a number of gorgeous churches, including Duomo of San Martino, with its intricately arched upper facade and slightly mysterious “Volto Santo di Lucca”, a relic said to have been carved by Christ's diciple Nicodemus and miraculously transported to Lucca in 782. Also worth a visit are San Michele in Foro, with its elaborately carved facade, and the Lombard San Frediano. 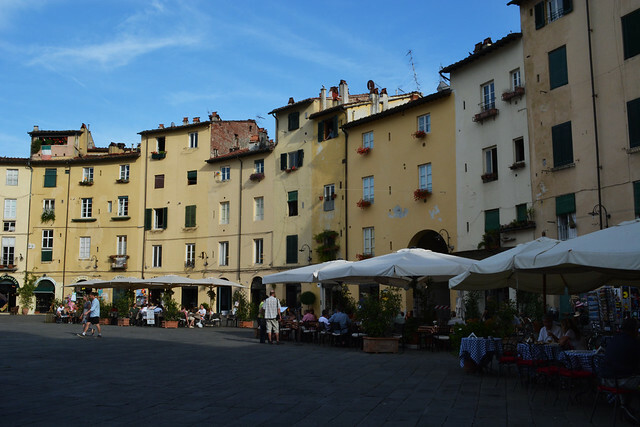 Piazza San Michele and the oval-shaped Piazza Anfiteatro are Lucca's main squares, lined with cafés, shops, and restaurants perfect for settling in for a bit and watching the Lucchesi go about their business. Lucca could easily be a film set for Italy in the first half of the 20th century. Many of its tiny family-run shops - the vast majority of them selling food and wine - date from almost a century ago and still have their original shop windows and signage. Search out Chocolat on Via Cenami, offering a vast array of artisan chocolate displayed with a small-town apothecary charm. Even if you don't end up purchasing any Tuscan gastronomic treats, these shops make for wonderful photos and window shopping. The main shopping street is Via Fillungo, which is lined with small stores and boutiques with Art Nouveau facades and upscale designer fashion and home decor. Lucca's shopping reflects the feel of the town as a whole: personal, slow paced, and understatedly elegant, so expect personal attention, no-pressure sales, and excellent quality design. The most stylish of these is Mode Mignon on Piazza Bernardini, which carries a number of Italy's most sought after labels. For your evening aperitivo, Antica Drogheria on Via Elisa is the perfect spot: a vintage sweet shop with a larger room crowded with locals relaxing for that perfect hour between work and dinner. After your Spritz, head to the landmark Trattoria Da Giulio on Via delle Conce, where the walls lined with photos of famous Italian actors and politicians who have dined there over the years bear witness to this restaurant's popularity. The simple Tuscan cuisine focuses on classics like Zuppa di Farro, a hearty bean and spelt soup, Farinata, a savory chickpea flour flatcake, and Castagnaccio, a dessert made with chestnut flour. If you're just looking for a snack, the Amedeo Giusti bakery on Via Santa Lucia has a display packed with everything from foccaccia to frittelle...if you can manage to elbow your way through the crowds of customers that fill this tiny historic shop from dawn to dusk.